The 2014 IAM Communications Conference in New Orleans will feature a tour of NASA’s John C. Stennis Space Center, where IAM members help operate some of NASA’s most important programs. The deadline to book your hotel room at the special room rate for the 2014 IAM Communications Conference is Thursday, April 24, 2014. The rate entitles conference-goers to a single or double room for $179 per night at the Loews New Orleans Hotel in New Orleans. Reservations can be made by calling the hotel at (504) 595-3300. Ask for the IAMAW group rate. The IAM Communications Conference is scheduled for Sunday, June 1 through Wednesday, June 4, 2014. The conference is a unique opportunity to master the skills needed to be effective communicators. The agenda includes an awards banquet on Tuesday, June 3, 2014 for winners of the 2013 Newsletter and Website Contest. Winners of the George J. Kourpias and Robert J. Kalaski awards will also be announced. 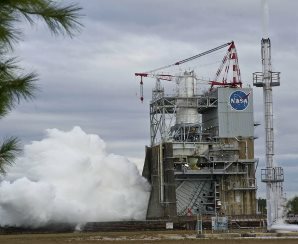 Another highlight of this year’s conference will be a tour of NASA’s John C. Stennis Space Center, where IAM members help operate NASA’s primary rocket propulsion testing ground. The agenda also includes guest speaker Ian Haney López, author of “Dog Whistle Politics.” López is one of the nation’s leading thinkers on how racism has evolved in the United States since the civil rights era and the use of coded racist speech in political campaigns. He is the author of three books and his writings have appeared across a range of sources, from the Yale Law Journal to the New York Times. Copies of his book will be provided to conference attendees and a book signing will follow his appearance. IAM District 4 Organizer Joel Pitcher and William W. Winpisinger Center Assistant Director Mary McHugh will team up for a conversation on new approaches to organizing. Please refer to the official call for details and enrollment forms or call the IAM Communications Department at (301) 967-4520 for more information.